Have you ever seen the Nutella commercial where a woman tells us about how Nutella provides the energy her kids need? That may be true, but the so-called energy they are getting via high amounts of sugar is really just sending their blood sugar through the roof and setting them up for some attention disorder symptoms in their first period class. And its not only Nutella that sets you and your kids up for failure during the day. Any commercial breakfast that contains wheat and high amounts of sugar will do the same thing – this means breakfast cereals, toast, porridge, toaster strudels, coffee, etc. Coffee, even if it doesn’t contain any sugar at all, is one of the biggest culprits that sabotages your efforts to stay alert during the day – causing you to hit the wall. Caffeine is a central nervous system stimulant which stimulates the adrenal glands to secrete adrenaline, the flight or fight hormone. Though we rarely encounter lions and other predators in the daily grind, we have not yet lost this primal instinct. When caffeine is consumed, it causes increased blood pressure, heart rate, perspiration, muscular tension, nervousness, and irritability. The adrenals become fatigued and hypoglycemia results, causing the body to crave sugars and get blood sugar back up. If you drink coffee daily, your adrenals will become exhausted and unable to respond to stress. Stress does not include outer stresses like job stress or issues with family members, but overall stress on your body which includes dietary stressors as well. I would go as far to say that dietary stress trumps all other stress on your body as the most detrimental type of stress. If you can drink coffee and go straight to sleep after, you have likely exhausted your adrenals for so long that they simply don’t respond anymore! Your days are likely long and fatigued as well if this is the case. This is why it is important to start your day with whole foods – nutrients that will nourish the body and the cells rather than throw the body out of balance. If your body is out of balance, it’s likely working far below its operating potential! If you’re not operating at your full potential, it’s time to look at what fuel you are putting into your engine! 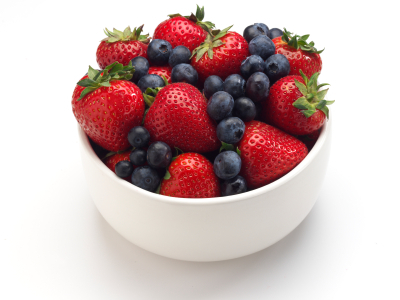 Opt for fresh, raw fruits and vegetables for breakfast. Have a salad or a bowl of fruit. Make your own almond milk with soaked almonds, sesame seeds, and sweeten it with a banana and pour it over some cut up apples and pears. Make a smoothie or have a green juice. In our house we start the day with barley greens, go for a workout, and then come home for something more substantial. I usually opt for an avocado, but lately it’s been 3 apples. Yum!